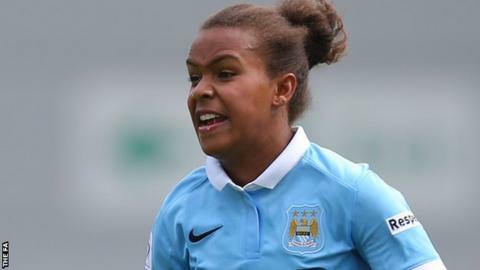 Manchester City Women have signed Nikita Parris on a permanent two-year deal from Everton after her loan spell. The 21-year-old scored 11 goals while on loan at the Blues as they finished runners up in the Women's Super League. The England Under-23 international is the sister of Natasha Jonas - Britain's first female Olympic boxer. "I'm really happy to have signed permanently. I'm so glad because here at City I feel I've got a place I can call home," she told the club website. "It was an easy decision for me. I wanted to stay in WSL 1 and I didn't want to go to any other club."